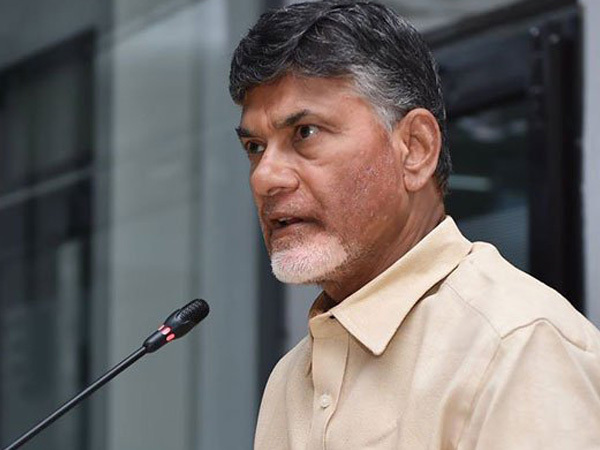 Andhra Pradesh Chief Minister N. Chandrababu Naidu on Friday said, the no-confidence motion moved against the ruling National Democratic Alliance (NDA) government has exposed the latter. New Delhi: Andhra Pradesh Chief Minister N. Chandrababu Naidu on Friday said, the no-confidence motion moved against the ruling National Democratic Alliance (NDA) government has exposed the latter. Taking to Twitter, the Andhra Chief Minister demanded Prime Minister Narendra Modi to fulfill the promises made during the time of bifurcation of the state in 2014. "Initiating the #NoConfidenceMotion, @jaygalla comprehensively exposed injustice done to Andhra Pradesh. On behalf of 5 Cr people of Andhra Pradesh, we demand Prime Minister Narendra Modi to fulfill all the assurances given to Andhra Pradesh by the then Prime Minister and implement the provisions of Andhra Pradesh Reorganisation Act 2014 #APDemandsJustice," Naidu Tweeted. Andhra Pradesh was promised Special Category Status (SCS) during the time of its bifurcation by the United Progressive Alliance (UPA) in 2014. The TDP even broke the alliance with the NDA government after no announcement regarding the SCS was made during the Union Budget. The Opposition brought the motion against the central government on several issues like special status to Andhra Pradesh, cow vigilantism, lynchings, atrocities against women and Dalits and alleged dilution of the SC/ST Act.